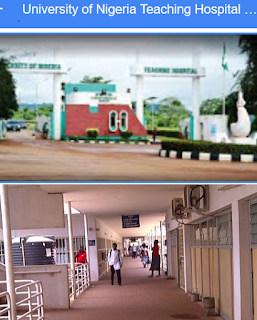 This is to inform the general public that the sales of admission forms into the School of Nursing (UNTH) Ituku Ozalla, Enugu has commenced for the 2019/2020 academic session. Applications are therefore invited from suitably qualified candidates for admission into the School of Nursing (UNTH) Ituku Ozalla, Enugu. Sales of forms commences from 10th December, 2018. 6. Verify PIN and print all accompanying slips. 7. If you filled the entire application to the last step when your receipt is not ready yet, kindly save and copy the application number (Note your application is not yet submitted). 8. To continue your application, go to APPLICATION and click on REPRINT APPLICATION, then enter your application number and click PAYMENT VERIFICATION to print your slip. You'll be redirected to a Status page, where you can view the status of your transaction. Application form cost Eight Thousand Naira Only. Written Exam Date: Saturday 18th May, 2019. READ ALSO: UNTH Community Health Officers Training Programme Form 2019/2020.